This looks like it has a lot of steps, but it’s actually quite simple. Be sure to prep everything before you start cooking and you’ll be sitting down to eat before you know it. Much better than take-out! First, press the tofu. Then, in a medium bowl, whisk together the soy sauce, sugar, pepper, cayenne, vinegar, and water. Set aside. In a large pan, heat the cooking oil. Fry the eggplant cubes on high heat till they are golden, about 5 minutes. The eggplant doesnt have to be fully cooked, just browned on the outside. Add broccoli and cook 1 more minute. Set the vegetables aside on a plate. Next, lower heat to medium and add a pinch more oil. Cook the tofu on each side until it is a nice brown color all over. Remove tofu and set aside. To make the sauce, saute ginger and garlic about 2 minutes on medium heat. Remove pan from heat and carefully add the black bean sauce and soy sauce mixture. Return pan to the stove and return vegetables and scallions. Stir well. Cook on high for 5 minutes or till the eggplant has softened but is not mushy. Lower heat to low and Add the sesame oil. 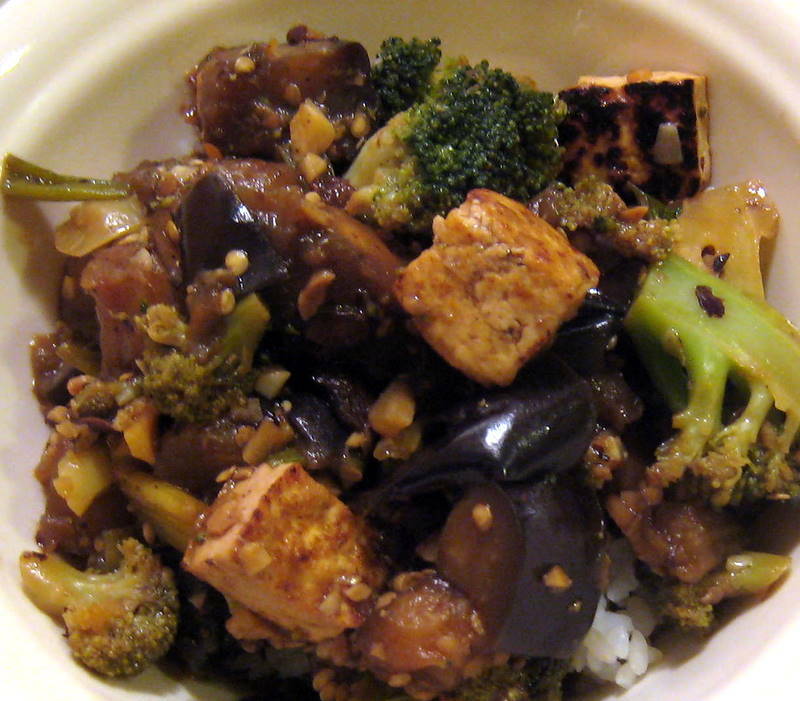 For the eggplant, we borrowed this recipe, but cooked the eggplants in the curry instead of stuffing them. What can I say? With moving the past week, I’m too lazy to stuff tiny eggplants at 9 PM. Sue me. For the channa, it’s a pretty simple tomato, onion, cumin seeds, garlic, ginger, curry, and coriander sauce, with some lemon juice to balance the sweetness of the tomato. Since we had leftover rice in the freezer, the whole meal took less than 45 minutes to make. Of course, we could never get dinner on the table in less than two hours without Stef’s exceptional knife skills. 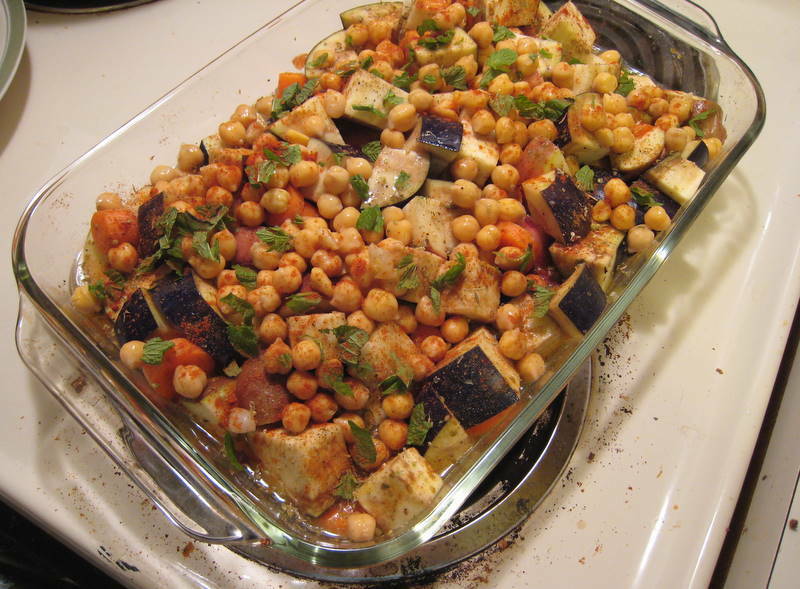 1 medium eggplant, 4 red potatoes, 1 can chickpeas, 2 carrots cooked in broth with garlic, lemon juice, oregano, paprika, black pepper, and mint. Bake at 450 for 60-70 minutes, until vegetables are tender and liquid is absorbed. With still some leftover eggplant and a 5 pound bag of potatoes taking up space in the fridge, I started off thinking about a vegan moussaka. However, the more I thought about nutmeg, the less I was inclined to try it, so I went in a completely different direction. This was tasty and spicy! The salad helped cool it down, and the eggplant muffins made a nice dessert. 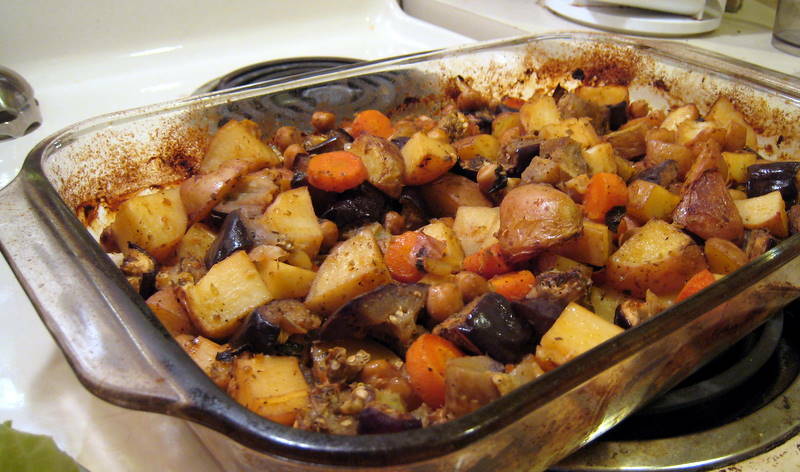 Chop the eggplant and potatoes into small pieces (approx. 1/2 inch squares) and toss with olive oil, minced garlic, salt, pepper, and some lemon juice. Bake at 400 for 20-30 minutes until the potatoes are cooked. Stir every 10-15 minutes. For the lentils: Boil 4 cups of water and cook the lentils about 10-15 minutes. Stop cooking before they turn to mush, the lentils should be a little crunchy still. Drain and add to a mixing bowl. Stir in lemon juice and seasonings. 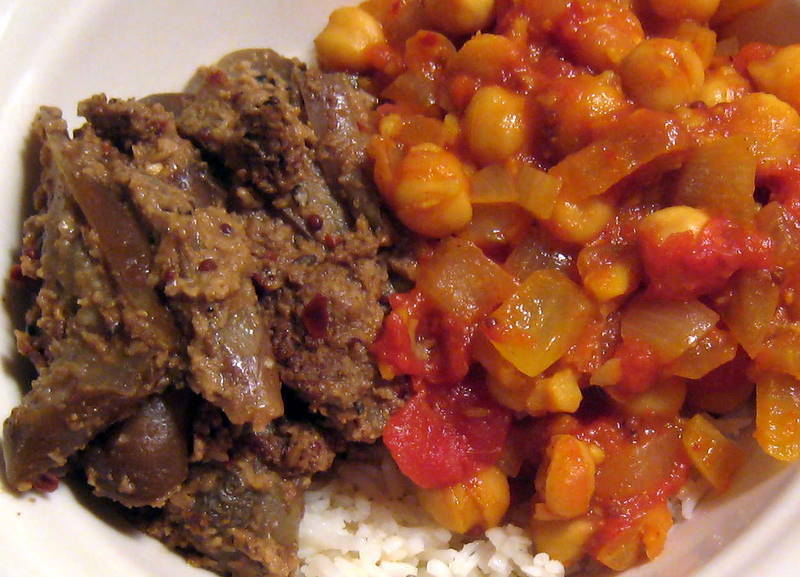 When the potatoes and eggplant are finished cooking, add to the lentils and mix well. Add tomatoes, jalapeno, and green onions and stir. Serve warm or cold, make ahead and refrigerate overnight for best flavor. 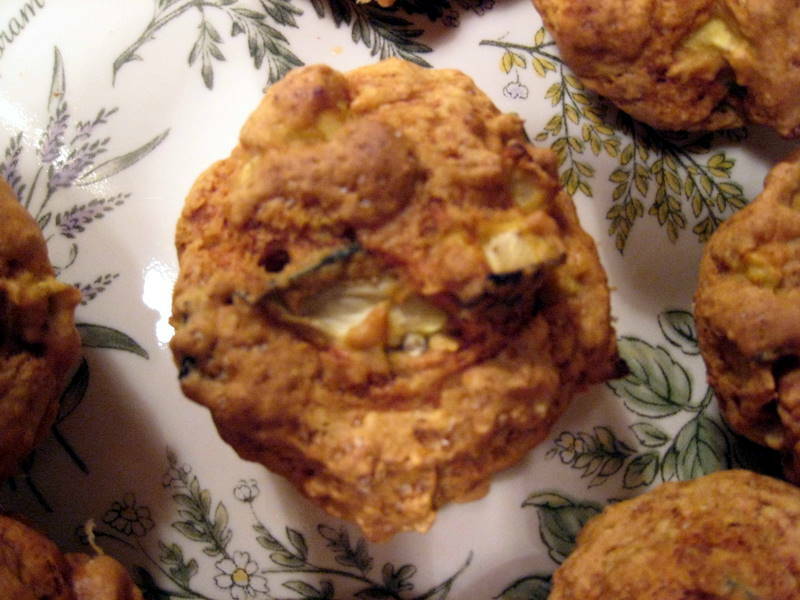 I saw a recipe for green tomato muffins and thought immediately of the half an eggplant sitting in the fridge. 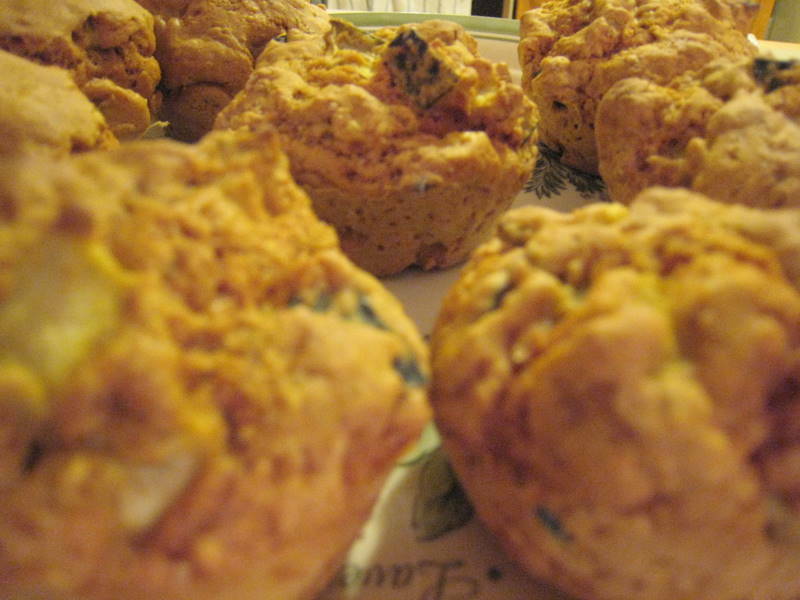 These muffins are extremely delicious and just a tiny bit sweet. 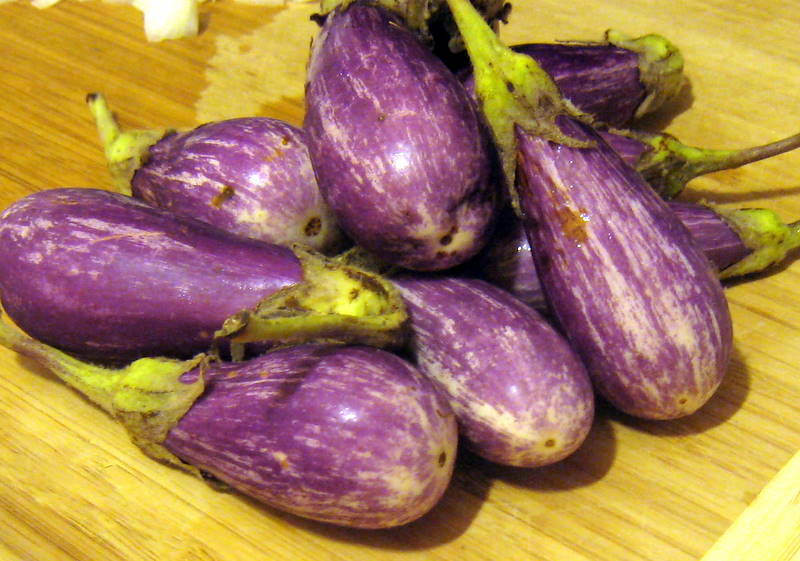 You could use other fruits or vegetables, but I highly recommend the eggplant, which is not only tasty but very nutritious. Preheat oven to 450 and prepare a muffin tin (or use silicone like us and do not prepare anything). Combine all dry ingredients in a mixing bowl. Add in the diced eggplant. Then stir in the yogurt-lemon juice mixture and water. Mix well and scoop into the muffin tins. Bake 15-20 minutes, until a toothpick comes out clean. Makes 10-12. Slice eggplant into 1/4 inch thick pieces. Lay on paper towels and lightly salt. Allow to sweat for about 30 minutes. Remove paper towels and rinse. Lightly oil eggplant slices and place in baking dish. Bake for about 10 minutes, flip over, and bake another 10 minutes, or until slightly browned. Remove from oven. Grate cheeses. 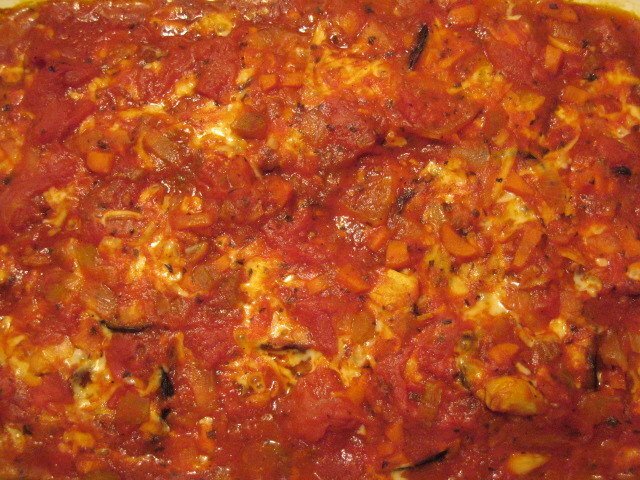 Pour a layer of sauce into a baking dish, place eggplant slices on top and season with pepper. Cover with a layer of cheese and then another layer of sauce. 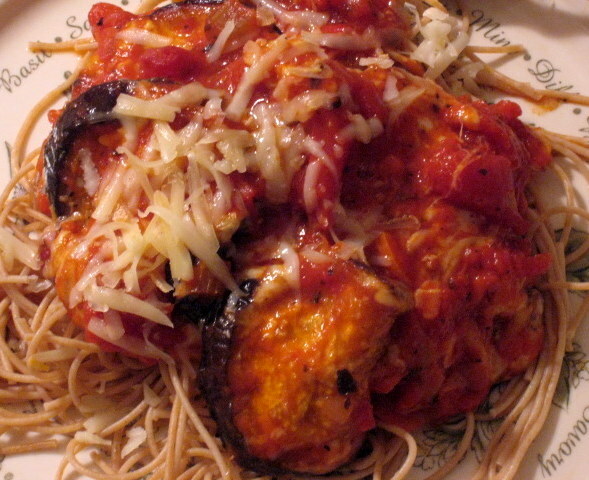 Repeat with next slices of eggplant, cheese, and top with remaining sauce. Bake at 400 for 15-20 minutes, until cheese is melted and sauce is bubbling. Serve over cooked angel hair pasta. 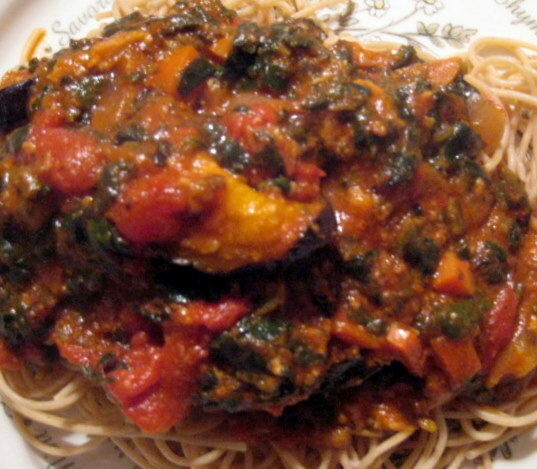 The second night, we added sauted spinach to the eggplant and sauce mixture. Delicious!